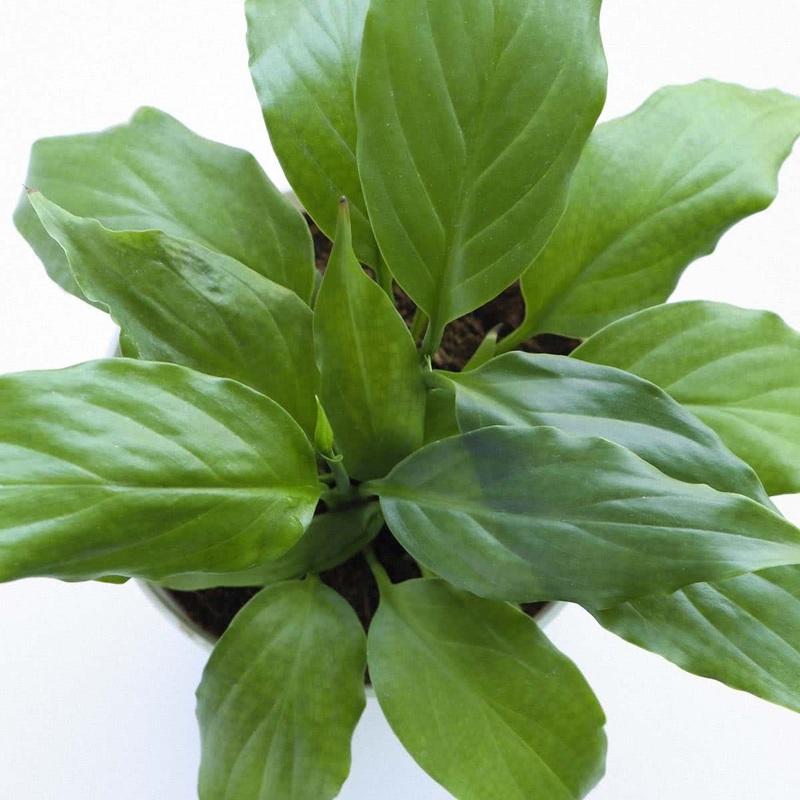 Plant Description: Spathiphyllum Viscount also known as Peace Lily is a low growing plant with dark glossy green, oblong, lanceolate leaves. It bears long-lasting pure white, large, unusual looking flowers (spathes). Spathiphyllum Viscount can be planted indoors where there is enough light but no direct sunlight. It can be grown in decorative indoor pots or as a ground cover plant in outdoor shade. Average Landscape Size: Plant Spathiphyllum Viscount at 2 x 2 ft distance for ground cover. Soil: Potting mixture - 1 part soil, 1 part coco peat, 1 part compost. Potting/Transplanting: Transplant the Spathiphyllum Viscount saplings in a pot along with the root-ball of original soil. 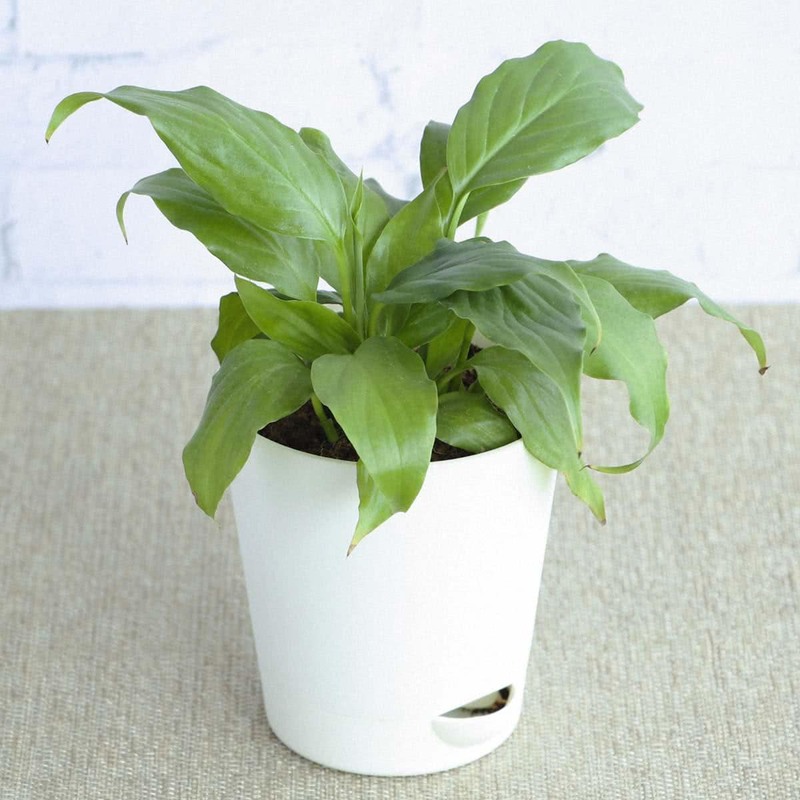 Carefully place the Spathiphyllum Viscount plant in the middle of the container & cover the roots completely with remaining soil. Sunlight: Place in highlight area but make sure to protect it from direct sunlight. Water: Water Spathiphyllum Viscount well & allow the soil to dry out between the waterings. Plants that are watered too much tend to produce fewer flowers & are more prone to diseases. 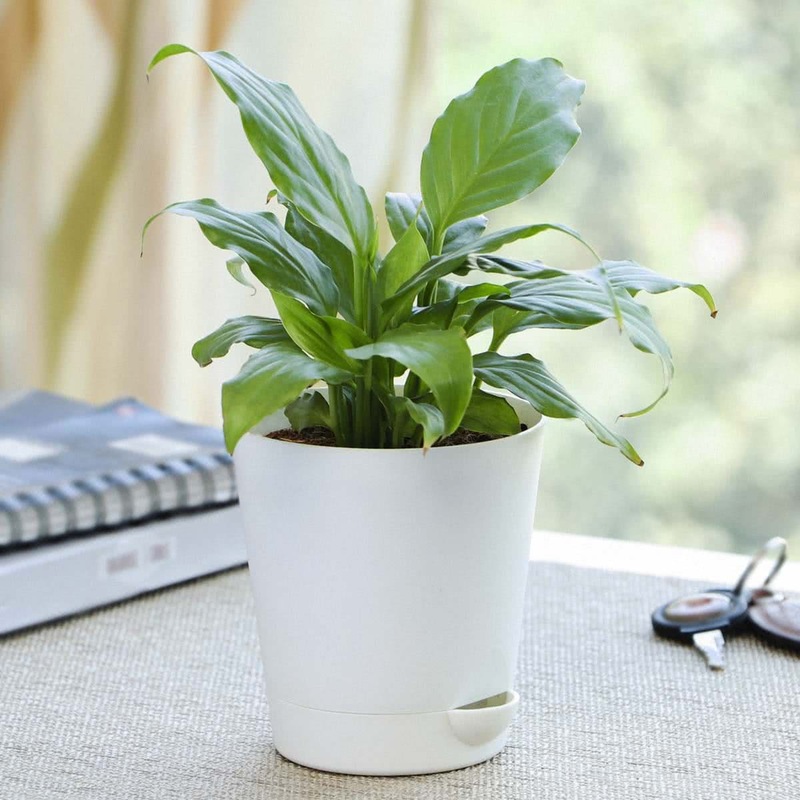 Temperature: Spathiphyllum Viscount prefers pleasant warm temperatures. Minimum temperature requirements are 15 degrees Celsius. Humidity: Spathiphyllum Viscount likes hot & humid climate. Pruning: Spathiphyllum Viscount keeps producing new greens from the side. Remove the old leaves & flowers when they start turning brown. Propagation: Propagation of Spathiphyllum Viscount is easy by the splitting of suckers from the base & individual plantlets can be grown separately. Looked very good. Arrived in perfect condition, fits in a small space well.